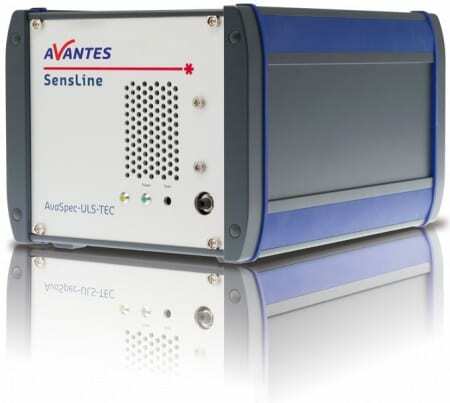 Avantes SenseLine : AvaSpec-ULS2048LTEC Fiber Optic Spectrometers | EINST Technology Pte Ltd.
Long integration times in general are equivalent to higher dark noise. 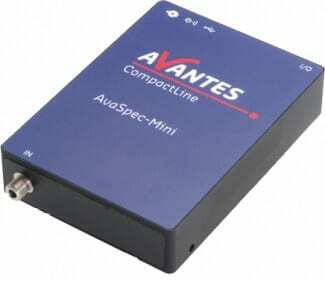 Avantes Thermo-Electric Cooled (TEC) spectro-meters systems overcome this problem by cooling the detector. These recently re-designed instruments are equipped with triple stage cooling, keeping your detector at a optimal 5 degrees Celsius (maximum -35°C difference from ambient temperature). The detector cooling provides a significantly lower and more stable dark baseline and PRNU level. Dark noise is reduced by a factor of 2-3. 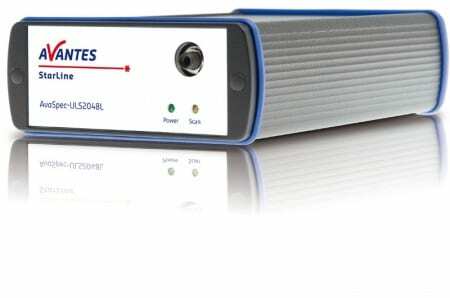 This allows the ULS2048LTEC to be used in very low light conditions, such as fluorescence and Raman measurements. If needed, integration times of more than 5 seconds are possible. The AvaSpec-ULS2048LTEC has an integrated temperature regulator, USB2.0 high-speed interface and two cooling fans to actively ventilate the heat sink of the Peltier cooling elements. The spectrometer power supply is integrated into the housing. The Replaceable Slit option is now also available for this spectrometer! Digital IO HD-26 connector, 2 Analog in, 2 Analog out, 3 Digital in, 12 Digital out, trigger, sync. AvaSpec-ULS2048LTEC-USB2 Thermo-Electric Cooled Fiber-optic Spectrometer, 75 mm Ultra-Low Stray-light AvaBench, 2048L pixel 3-stage TE-cooled and regulated CCD detector, USB2 high-speed interface, incl. AvaSoft-Basic, USB cable, desktop housing.